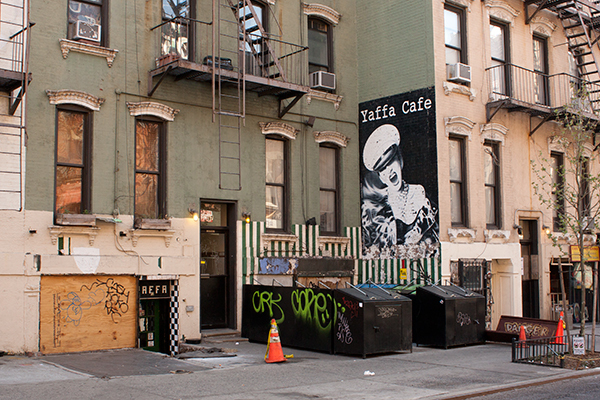 The Yaffa Cafe opened the same year I moved to New York. I went there a couple of times with friends of mine. It was new, we were new… it was the thing to do! Eventually, we stopped. I mean, it was just a cafe. There was nothing special about it. Now it's gone, and so are the people we were then. Fortunately, our shells don't remain behind, like cicadas, and like Yaffa Cafe!